In 1906, Cord Meyer Development Company purchased 600 acres in Whitepot and renamed it Forest Hills after its high elevation of rolling hills and proximity to Forest Park. After the Russell Sage Foundation acquired 142 acres and Grosvenor Atterbury and Frederick Law Olmsted Jr. partnered, the Forest Hills Gardens, founded in 1909, became America's earliest planned garden community. When Henry Schloh and Charles Hausmann of the Rego Construction Company came upon farmland in Forest Hills West, they renamed it Rego Park in 1923 after their slogan, "REal GOod Homes." Between the Tudor and Colonial landmarks, one can sense the footsteps of a few hundred notables who granted soul to the community and society. At the Forest Hills Tennis Stadium, imagine the Beatles landing in a helicopter in front of screaming fans in 1964, or when Althea Gibson became the first African American to win a US national tennis title in 1957. 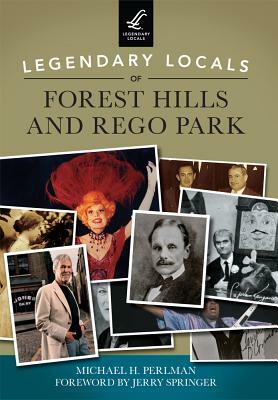 Forest Hills High School was a cornerstone for notable alumni, such as composer Burt Bacharach; musical duo Simon & Garfunkel; Bob Keeshan, who portrayed Captain Kangaroo; and the first space tourist, Dennis Tito.